Of course the problem is making new kit costs $$$. Over the past three years, I’ve gained just under 160 members, which is an impressive number! But to do some of the nicer bits of flair that I hoped to do, I’d have to sell lots more membership packets to pencil out. So alas, no fancy pins or things like that. I always thought patches would be a nice addition to the kit, but haven’t looked into pursuing it until now. And yeah, it’ll cost some money, so I have to scrounge together some pennies. I’m aiming to get it all ready for later summer, hopefully August. And once I get it all sorted out, all current members will be able to purchase the new buttons, stickers, and patches. When I do have things more sorted, I intend to do a “pre-sale”, but I don’t want to take any orders just yet. So please wait for an update! 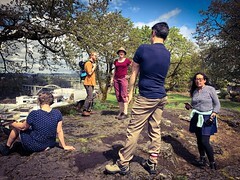 Three Speed Camping Weekend, June 3-5. Register NOW! Hello friends. With all the hecticness of the Lake Pepin adventure taking up a good chunk of this month, I’ve been behind on things (I’ll be writing about it soon! But in the meantime, check out my instagram stream for stuff.) And one of those things is reminding you fine folks that it’s just two short weeks until we do our Three Speed Camping Trip! 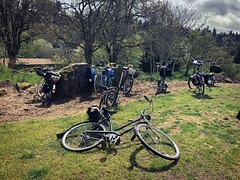 Yep, the weekend of Friday June 3 through Sunday June 5, we’ll be taking our trusty and laden three speeds out to Ainsworth State Park in the beautiful Columbia Gorge. 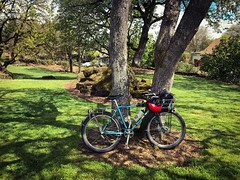 It’s about a 25 mile one-way ride from the end of the MAX in Gresham. And there are many a waterfall to be seen as well! We’ve booked a site that can hold about eight folks, so registration is capped at that for now. And the other sites are already booked, so eight is enough! If you arrive on Friday, on Saturday you can either hang out in camp or ride to Cascade Locks and/or Stevenson, where there are brew pubs! Or, you can ride out on Saturday and hang out with us that night. We return home on Sunday. We’re looking at about $10-20 for total costs, including firewood. Price will depend on how many nights you can come. You must carry all the gear on your own bike. There will be no “sag” wagon or vehicle support. Nor can you cheat by asking your friends, family, spouse, significant other, etc. They used to tour like this, you can too! The only group departure will be on Friday morning, so if you can’t make it then, you’ll be riding solo. However, we may ride back as a group on Sunday. If you have questions, feel free to email me at urbanadventureleague@gmail.com But please note, you still need to register via the Eventbrite site! It’s too late to turn back, here we go…Pepin! Hello friends. 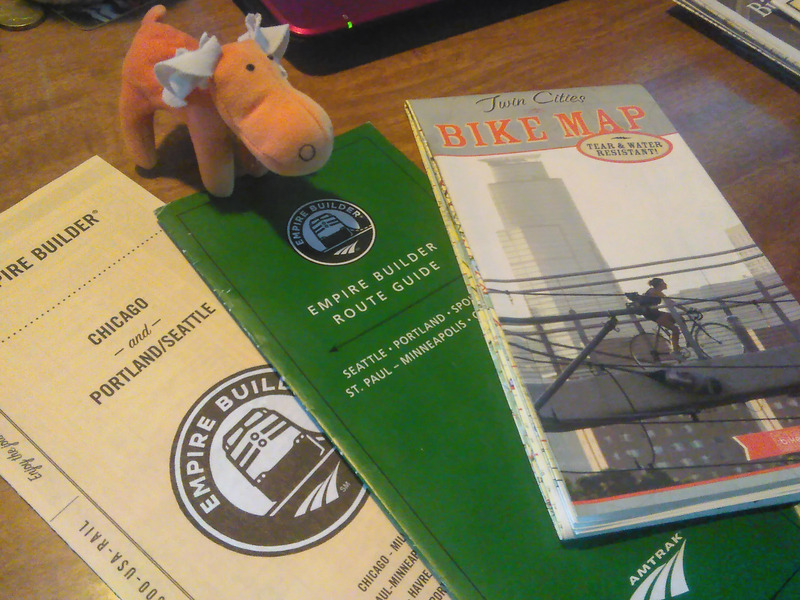 Later today, I’ll be hopping on Amtrak’s Empire Builder train and heading east to the Midwest! I’ll be enjoying the new-to-me luxury of a sleeper car all the way to St. Paul Union Station! I’ll spend a few days there, then head to Red Wing on Friday for the night. 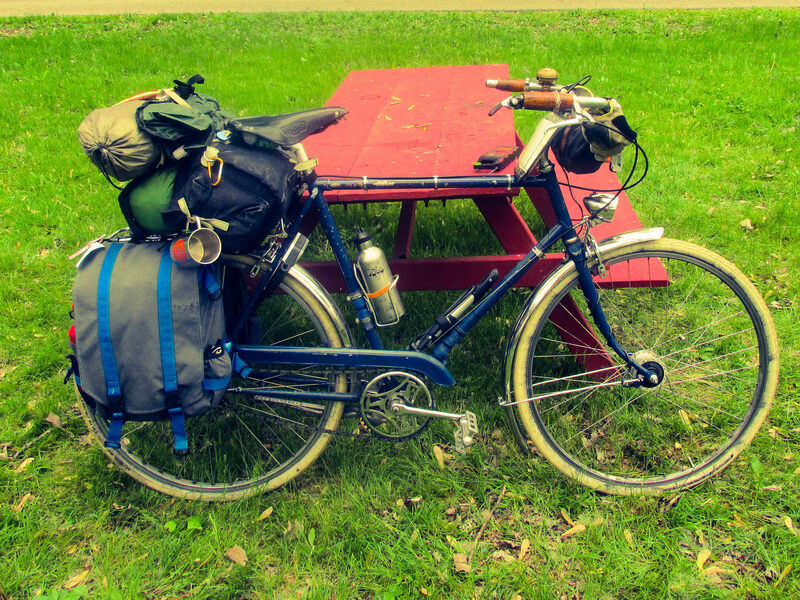 The Lake Pepin Three Speed Tour will happen this coming weekend, May 14 and 15. It should be a good time, and if the long-range forecast holds, it will be perfect weather, sun and clouds, high in the low 60’s. Then I return to Minneapolis for a day before I get on the westbound Empire Builder to Portland, this time in lowly coach. 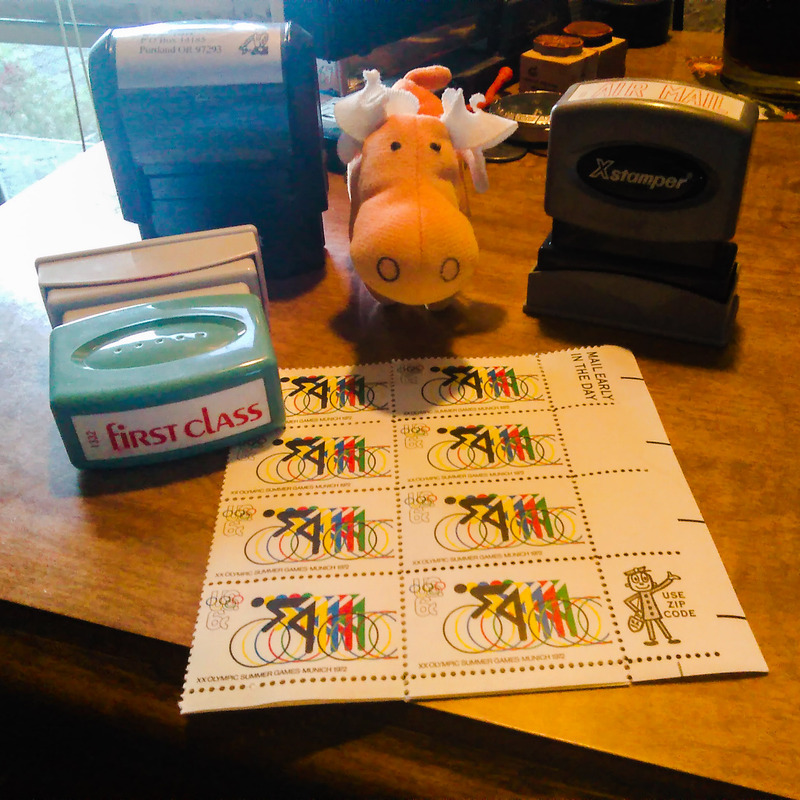 mooemoose loves packing orders and mailing stuff! So check out the deals over at my store. And please note: I cannot guarantee that I’ll get stuff shipped before I leave for Minnesota on Sunday, so orders may not go out until about the 20th.